The “Mix It Up At Lunch” national campaign teaches kids to accept one another and cross social barriers during lunchtime when social divisions are most evident. It’s a “simple act with profound implications” designed to reduce prejudice. Acceptance and tolerance have been valued traits in Mineral Point for a very long time. Pictured here is Edward Earley, who served as the Chief Engineer at the Mineral Point Zinc Company in its heyday in the 1920’s. Mr. Earley and his sister Effie were long-time residents of Mineral Point. 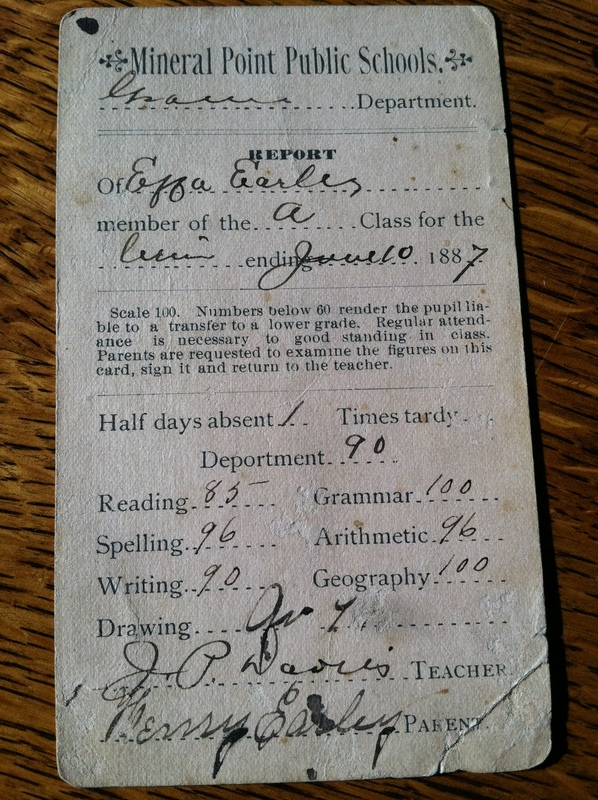 Effie was described as a “brilliant” student and her 1887 report card from the Mineral Point Public Schools reflects this. Effie and Edward’s grandfather, Robert, headed one of three slave families brought to the area by Henry Dodge in 1827. Governor Dodge freed these slaves and Mr. Earley worked as the Governor’s leather worker. 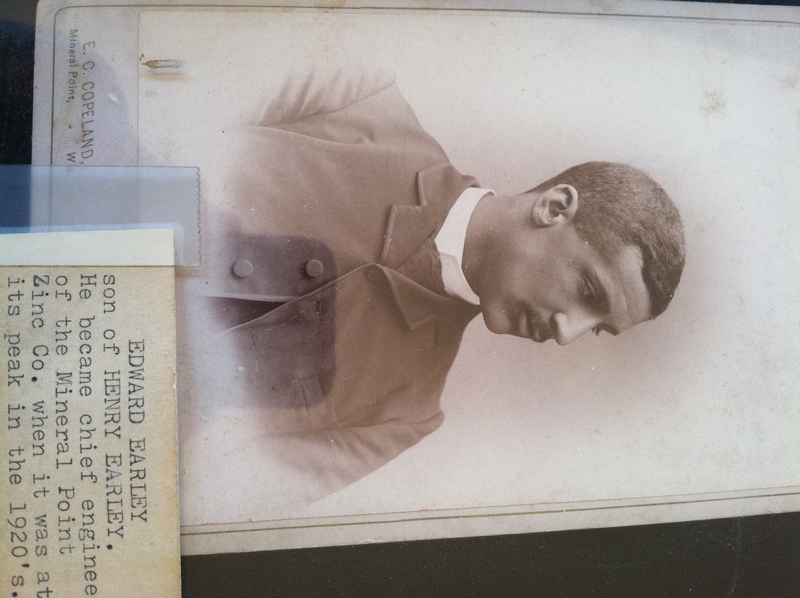 You can find the histories of the Earleys and many other interesting people at the Mineral Point Archives in the newly refurbished Mineral Point Library. Thank you to the Mineral Point Library for allowing High Street Beat to use the two photos shown in this post. Gallery | This entry was posted in Family, General, History and tagged Edward Earley, Effie Earley, Governor Henry Dodge, Martin Luther King, Mineral Point, Mineral Point Archives, Mineral Point Library, Mineral Point School District, Mix It Up At Lunch, Robert Earley, Skittles, Teaching Tolerance, The Hays, Wisconsin, Zinc. Bookmark the permalink. Thank you for sharing the school news with the citizens of Mineral Point. We read this blog together as a Middle School Read 180 class on Friday, the last day of “Mix It Up Lunch.” The students wanted to share some of their comments… One student thought, “it was kind of fun because we knew everyone, but you don’t really get to know someone until you can talk to them.” Most admitted it was difficult to sit with different people. Thank you for sharing the blog with the middle school students and letting us know how “Mix It Up” went.